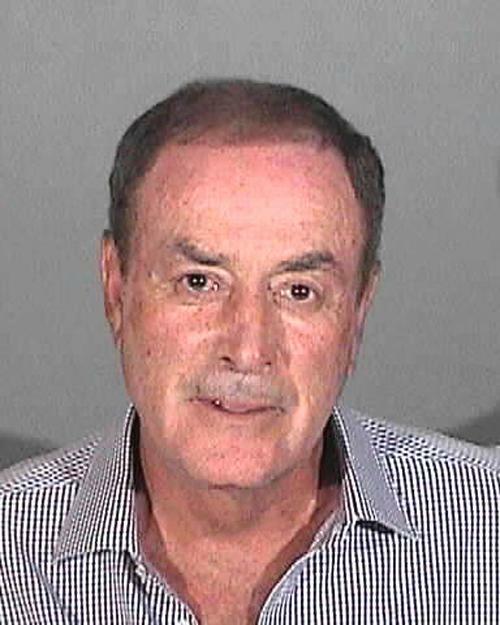 NBC Sports announcer Al Michaels was arrested in April 2013 by California cops and charged with drunk driving. According to Santa Monica police, the “Sunday Night Football” play-by-play man was pulled over at a DUI checkpoint after an officer saw him making an illegal U-turn. His blood alcohol content registered at the legal limit of .08, so Michaels was arrested and booked into jail (where he posed for the above mug shot). After several hours in custody, the 68-year-old sportscaster was released on his own recognizance.